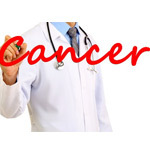 THURSDAY, April 17, 2014 (HealthDay News) -- Doctors often recommend no treatment at all when a man is diagnosed with prostate cancer, opting instead to keep a close eye on the slow-growing tumor and acting only when it becomes aggressive. But a new, long-term European study says this strategy, called "active surveillance," has a major flaw -- if men don't come back for regular checkups, doctors won't be able to tell if their prostate cancer becomes life-threatening. A quarter of prostate cancer patients participating in a Swiss active surveillance study didn't bother showing up for their recommended appointments, lead researcher Dr. Lukas Hefermehl reported to the annual meeting of the European Association of Urology, held this month in Stockholm. "These findings leave us with a practical and ethical dilemma," Hefermehl, a urologist at Kantonsspital Baden, in Switzerland, said in an association news release. "We often recommend that men go onto an active surveillance program, but these results indicate that more than a quarter of men will disappear from the system." Active surveillance -- also known as "watchful waiting" -- is a pragmatic treatment strategy derived from two known facts about prostate cancer. First, prostate cancer grows so slowly in most men that they are likely to die from other causes. Second, the surgery and radiation therapy used to treat prostate cancer often cause impotence, incontinence and other side effects that affect the man's quality of life. Prostate cancer is the most common cancer in American men other than skin cancer, according to the American Cancer Society, but the 15-year survival rate for prostate cancer is an impressive 94 percent. As a result, many doctors have concluded it's better to leave the prostate cancer alone and only act if it accelerates. This new study followed 157 men during 13 years of active surveillance. Researchers found that after 13 years, about 28 percent of all patients required treatment because their prostate cancer flared up. Nearly all the men were cured of their prostate cancer, with an overall group survival rate of 94 percent. However, another 27 percent of the men in the study didn't bother coming back for check-ups after being placed on active surveillance, leaving themselves potentially vulnerable to a prostate cancer flare-up. Researchers also found that about 19 percent of the men refused to undergo a second biopsy three months after their diagnosis, to confirm the results of their first prostate cancer biopsy. "We don't know exactly what the reasons are," Hefermehl said. "It may be that once the patient was told that this cancer is probably 'not immediately threatening,' he might downplay the importance of another test. "On the other hand, some men might have real concerns about the risk of there being a more severe cancer," he said. "Or it may be to do with the risk of incontinence or impotence after treatment, the idea of having cancer, a sense that nothing will really happen to them or it may be due to another reason which we just don't know about." The study highlights the need for doctors to impress upon prostate cancer patients the importance of checkups, said Dr. David Samadi, chairman of urology at Lenox Hill Hospital, in New York City. "The patient must be willing to have regular follow-ups that will consist of regular PSAs [blood tests for prostate-specific antigen], physicals and ultrasounds to closely watch if the cancer is progressing, resulting in long-term follow-ups with close surveillance," Samadi said. "Compliance from the patient throughout the whole process is a must, as watchful waiting can lead to metastasis and spread to other organs." Dropout rates are probably even worse in the United States than in Switzerland, said Dr. Otis Brawley, chief medical officer for the American Cancer Society. Men in the United States face more difficulty finding transportation to the doctor, may not be able to afford the co-pays required for each visit or might lose their insurance during active surveillance, Brawley said. Prostate cancer patients also might put their condition on the back burner because they are facing other, more critical medical issues, or just don't want to hassle with invasive probes on a regular basis, he said. On the other hand, Brawley said, the new study actually is a success story for active surveillance, in that three-fourths of the men who kept their appointments never needed treatment. "It's a glass-half-full, glass-half-empty situation," he said. "I look at the same data and say aha, there were a large proportion of men who stayed in follow-up and never got treated, and that's good."